In our eBooks store you will find the books we recommend. They are divided by categories and cover most of the technologies Flashdaweb is whole about. Adobe Flash is extremely progressive in todays web development market. To stay at the edge of constantly changing Flash technology and know more about ActionScript language capabilities – reading good books is what you need. Full and detailed WordPress manual for almost all the cases you may be interested using WordPress for. 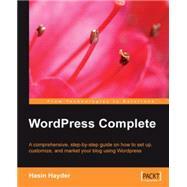 Looking for tips and guides to tune your WP blog or website, read the ‘WordPress Complete‘ – Become an expert of WordPress CMS features and abilities. Highly recommended to both new WordPress users and experienced fellows, who want to run wordpress even more effectively. 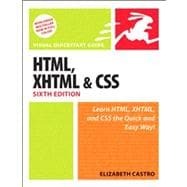 Sixth Edition by Elizabeth Castro, contains a lot of useful tips and tutorials for those who want to know more about HTML, XHTML, and CSS (Cascading Style Sheets). Wide description of the basics results in deeper understanding of the techniques and methods. We definitely recommend this book for beginner web developers.